Cape Town - Johannesburg is the city in Africa where international visitors tend to spend the most - a total of $2.56bn (about R35bn) in 2016, for instance. Most of the spending was on shopping, followed by accommodation and dining out, according to the Mastercard Global Destination Cities Index for 2016. The index ranks the world’s top 132 destination cities in terms of visitor volume and spending. Johannesburg is well positioned to be an engine of broad economic growth for the country, according to Anton van der Merwe, head of market Development at Mastercard SA. The city's mix of shopping, iconic attractions and tourism offerings is hitting the mark with international travellers, in his view. This is clear from Johannesburg having shown the highest year-on-year (y/y) growth in visitor numbers of all the African cities ranked in the 2016 index. Johannesburg, for instance, reported a 4% increase in international expenditure compared to that in 2015. This is greater than SA’s gross domestic product growth of 0.3% in 2016. About 78% of Johannesburg’s international overnight visitors in 2016 travelled from the Middle East Africa region. Mozambique was the number one country international visitors to Johannesburg travelled from, namely 1.02 million visitors or 22% of the total. The rest of the top five origin countries were Zimbabwe (841 000), Lesotho (493 000), Botswana (315 000) and Swaziland (215 000). The index ranked Johannesburg in top spot as the most popular destination city in Africa in 2016. Last year Johannesburg had 4.57 million international overnight visitors. This is 24% more than in 2015. According to City of Johannesburg Executive Mayor Herman Mashaba, travel and tourism play an increasingly important part in Johannesburg’s economy. Growth in this sector is creating jobs, in his view. “Johannesburg’s malls, restaurants, trade conferences and expos, sporting and cultural events add up to a compelling tourism package that continues to attract international visitors – both from neighbouring African countries and abroad,” said Mashaba. 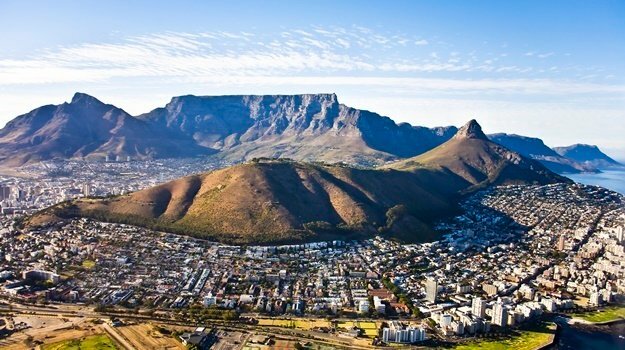 Cape Town took the second spot, with 1.52 million international overnight visitors in 2016. In 2015 the Mother City was in third position. Cape Town was also second in terms of expenditure by international overnight visitors ($1.2bn). The Mother City attracted a larger proportion of long-haul visitors than Johannesburg, with most travellers coming from the UK (335 000), US (218 000), Germany (217 000) and the Netherlands (96 000). Cape Town’s highest number of international visitors from the rest of Africa came from Namibia (144 000). Durban remained in sixth place with 758 057 international overnight visitors. It ranked eighth in terms of expenditure in Africa, with international visitors spending $314m in 2016. Durban’s top three countries of origin of international overnight visitors were Swaziland (295 000), Lesotho (52 000) and Zimbabwe (49 000). The 2016 index ranks Lagos in Nigeria in third place with 1.04 million international overnight visitors, Casablanca in Morocco fourth with 961 694 international overnight visitors and Cairo in fifth place with 820 959 international overnight visitors. Other African cities which made the index are Accra (Ghana), Dakar (Senegal), Entebbe (Uganda), Tunis (Tunisia), Nairobi (Kenya), Maputo (Mozambique) and Beira (Mozambique). From a spending perspective, Dubai tops the ranks with the highest international overnight visitor spend, namely $28.50bn in 2016. Next up was New York ($17.02bn) followed by London ($16.09bn), Singapore ($15.69bn) and Bangkok ($14.8bn). “We are seeing more people than ever visiting cities for business or leisure. At the same time, we know that people expect their experiences when traveling to be both seamless and personal,” explained Van der Merwe. “Cities that apply technology to simplify services and connect people with their passion points can become true destination cities and realise the benefits of increased visitors and greater spending."